Linghu Chong, the most senior disciple of Mount Hua Sect, is always happy-go-lucky and never tied to the so-called jianghu rules. He likes making friends of jianghu lowlifes and strangers. 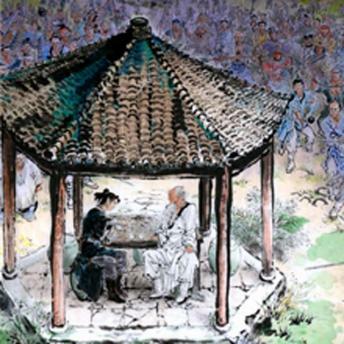 After he is expelled by his ambitious master Yue Buqun, Linghu Chong is rejected and spurned by almost all the martial artists of various orthodox sects and left behind in jianghu. Lucky enough, owing to Linghu Chong’s frankness and conscience, he meets Ren Yingying, the daughter of the Sun Moon Holy Cult’s leader. Instead of becoming opponents due to their background, they understand and love each other. After going through many fights, they come through thick and thin, and finally become a sweet couple and live happily ever after.